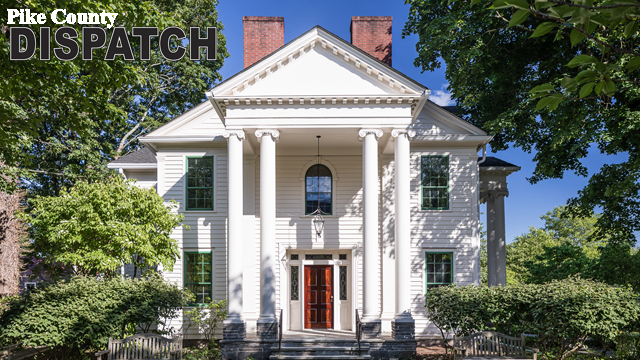 MILFORD — The Community House board is committed to expand the traditional uses of the historic property while maintaining the original stipulations for community uses outlines by the Pinchot family, which donated the building and land in a perpetual trust. Ed Brannon said, “the Community House building, located at the intersection of Broad and Harford streets in Milford Borough, is in the heart of the Milford Historic District and on the National Register of Historic Places. It is one of the most significant historic structures in Pike County. According to Brannon, the board is undertaking a new program, “Continuing the Legacy: Preparing for its Second Century of Public Service,” a major historically sensitive exterior and interior restoration and landscape rehabilitation project. The program also includes much more comprehensive public access and new community-service uses than in the past. Brannon said that the board is negotiating with the Pike County Chamber of Commerce on a proposal to have the Chamber occupy part of the first floor. The Chamber would move from its current location in the borough and lease half the first floor. They would not only run their own operation, but they would also staff a Visitor Center, with a long-term plan driven by the Community House Board to have the center open to the public seven days a week. The other half of the first floor would be leased to other organizations such as the Pike County Historic Preservation Trust, Pocono Mountain Visitors Bureau, U.S. Forest Service, Grey Towers National Historic Site staff, and the Delaware Water Gap National Recreation Areas (DEWA, a branch of the National Park Service). Brannon said, “The second floor will have modest offices and meetings facilities for the Pike County Economic Development Agency, the Pike County United Way, and other local non-profit groups, such as Pike County Arts and Crafts [for their monthly educational and demonstration programs]. The assessment showed that years of deferred maintenance and the ravages of time had rendered the building virtually unusable for any major uses without substantial repairs. 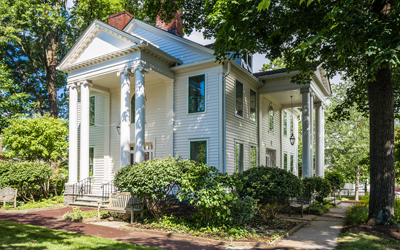 In 2015, the Trustees invested $300,000 for building exterior repairs and upgrades. The money came from a donation of a Milford patron. Mike Maruszewski did the detailed renovation. The next phase is a $200,000 interior restoration that would meet prevailing health and safety codes, which would open the door for new public uses. The scope of the proposed ongoing interior work includes adapting part of the first floor as a public visitor, contact, educational, and information center. Brannon said, “The plan is to present historical and education exhibits about Pike County, the people, places, and activities that make our home special to its residents and visitors. We plan to present a new Milford Community Room, which we are tentatively calling the Pinchot Room, for use to non-profit groups on a sign-up basis. “We recently obtained a Local Share Account (LSA, the Pennsylvania gaming-fund-distribution grant program). We retained Richard Pedranti, AIA, of Milford to redesign the interior. He and his professional staff assistant Michelle Sangster completed a detailed documentation of the Milford Community House structure. The project would make the building much more energy efficient than now. The Grey Towers National Historic Site Act, passed in 2003, specifically lists the Milford Community House (Pinchot Homestead) as a “contributing property.” The Designation and act give the U.S. secretary of Agriculture and Dept. of the Interior the authority to work cooperatively to advance the purposes of the act.